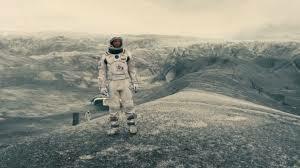 As we headed for the theater door after the movie, Interstellar, I said to my husband, “I liked it, but the ending was weak.” Today, Paul Levinson wrote an Interstellar review and in his first paragraph, he stated, “Well, until the last 30 or so minutes I’d say it was – a masterpiece in many ways. But the ending – or, at least, the science of the ending – just didn’t do it for me.” Thanks, Paul, I couldn’t agree with you more. I’ve enjoyed science fiction books and movies since I was in high school. I appreciated this movie’s visuals, concept, and characters for the two and a half hours until it neared that last half hour. I had hoped the ending would have a refreshing food for thought or maybe even an “aha”, but it felt rushed with no real substance. Regarding the ending, Levinson said, “…we got superb emotion, but situated in an unclear, metaphysical base.” However, he strongly recommends Interstellar and I do too. 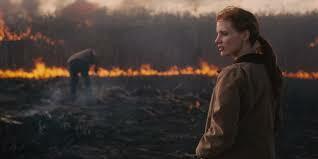 It’s fun to float in space with the special effects, to land on a couple planets that make me grateful we are on earth, and to admire the performance of Jessica Chastain as the intelligent daughter.